When you think about your iPhone, it’s probably the object that you used most in your life, it’s the product that you have with you all the time and with this unique relationship people have with their iPhone and Apple take change in very seriously. 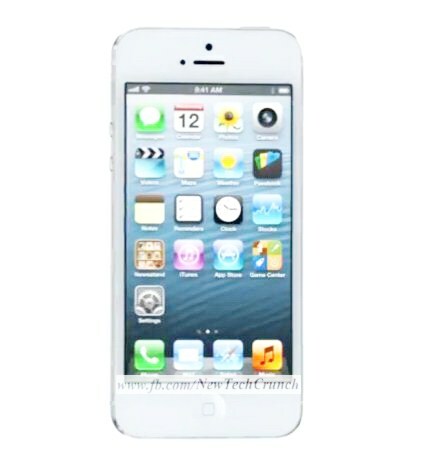 Apple want to make it a much better phone, and iPhone 5 is the result of this approach is being completely redesigned. And for the first time ever they increased the size of its display by making the screen taller not wider. You can see more of your content and can use it comfortably with one hand, and yet even with larger display iPhone 5 is the thinnest, lightest iPhone which ever build. To achieve a design distance Apple have look it making many of the components inside the design smaller. It’s actually 18% thinner and 20% lighter than the previous iPhone. From the beginning they knew one of the bring LTE to the iPhone. What LTE does is enables really fast downloads and you will notice a really big difference compare to previous network connectivity. In fact LTE can actually be faster than the average Wi-Fi connection at home. The conventional approach of designing LTE into a world phone using two chips with a new iPhone of voice and data technology are combined on to a single chip. This is one the real breakthroughs that enables iPhone 5 thin design. Well they are also introducing all new Apple design A6 chip; it delivers performance that up to twice as fast as the previous generation. You experiencing big increase in speed and everything you use iPhone for. Especially in the way it delivers more detail and boost frame rates in graphics. The A6 chip is so power efficient that it increase its performance well also increasing its better in iPhone. Giving the dimension of the new phone and all the capabilities that Apple want to add, Apple need to manage the space inside the phone very carefully. They have created the new much smaller lightning connector; it’s all digital so it is designed for today’s uses and we need it reversible so it’s fit either where. Apple also moves to a sapphire lens cover which is thinner and more durable than the previous (iPhone 4s/4 or older) cover glass, and it really protects the optics. And I don’t think the level of invention has ever been matched by of any other product we have done. The seamless inauguration between hardware and software makes everything you do on iPhone 5 just feels more fluid, responsive and fast. And with its amazing display fell like you can do more, it great for watching HD videos on full wide screen and in portrait mode iPhone 5 is still so comfortable in your hand. Apple's all new maps applications is fantastic for example if you look at things like flyover, it’s a completely different experiencing you have ever before on maps. The panorama features simply awesome, you can capture panorama photo just by moving your camera through the scenery. Once you done the apps combine which you capture into one beautiful panoramic shot. And now Siri can do more for you, you can get sports score and team schedules. Siri can also find places to eat and even help you to make reservation. Facebok is now inaugurated right in to iOS 6. So, you can post photos or share anything else you want to directly from your apps. And now you can make a face time call right over the cellular network. So, no matter where you are always able to see the ones you love. Along with the experience of actually using it what makes iPhone 5 so unique? It’s how it feels in your hands. The material is being made with the remarkable precision with which it’s being build. Never before have Apple built a product with this extraordinary level of fit and finish. They have developed manufacturing processes that are most complex and ambitious. Starting with the aluminum they only machine the surfaces of the enclosure, then polish and text to them. We then use crystalline diamonds to cut the champers; it’s so exact that you’re left with a near mirror finish. These techniques create dramatic distinctions between the products lightly text it back and it’s highly polished chamfered edge. This manufacturing procedure extends the haves its many pieces seamlessly come together. The in layer of the product is matched to the housing through the highly sophisticated processes. With the part on the conveyor to high power cams takes pictures of the housing and instantaneous analysis is done and then the best match out of the possible 725 cuts is determined. The variances from product to product we now measuring in microns. To create the new iPhone 5 Apple began with a design with we really loved. But to built and to implement it they have to look way beyond what we use to possible it took all about learning, a best thinking to realize something so simple, so clear and yet to truly extraordinary. Is Fried Microwaved iPhone 5 Gives taste of Apple?